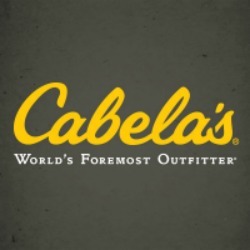 Cabela's of Mitchell, SD offers quality outdoor clothing and gear for hunting, shooting, camping and fishing at competitive prices. Before heading out on your next adventure to Lake Mitchell or Fort Pierre National Grassland be sure to stock up on gear and supplies from top brands such as YETI, Sitka or Simms. Cabela’s outfitters are here to help you make the most of your outdoor experiences, so stop in and get a free line winding, pack fitting or scope mounting. While in our store, check out our display of local wildlife or head on over to the Fudge & Nut Shop to pick up a tasty treat. At Cabela’s Mitchell, we are more than just a store, we are an experience.